Skincare ingredients can be such divas. All the best anti-aging superstars do wonders on their own but ask them to collaborate and they throw a tantrum. They just won’t do their best work. So frustrating! AHAs (glycolic and lactic acid) and BHA (salicylic acid) are all powerful exfoliants. Retinol (a form of vitamin A), can accelerate cellular turnover (that’s scientific lingo for speeding up your skin’s natural exfoliating process). This means that all these ingredients help you get rid of the old, dull, and damaged cells on the surface of your skin and replace them with new, bright, and healthy ones. When used on their own, that is. When used together, they’re more likely to cause redness and irritations. Oh, they can make your skin much more sensitive to sunlight, too. This combo is proof that too much of a good thing is a bad thing. Use them at different times of the day or week. I use glycolic acid in the morning and retinol at night. But you can use glycolic acid on Monday and retinol on Tuesday. It’s up to you. Related: AHAs VHS BHA: Which One Should You Use? Did you know that retinol can treat acne, too? So does benzoyl peroxide. It has a peeling action that keeps the pores clean and kills the bacteria that cause acne. But, benzoyl peroxide is very harsh on its own. That’s why it’s more of a last resort treatment to be used on pimples only. Use it together with retinol and it gets even harsher. Expect flakiness, redness, peeling, and irritation. Do you really wanna take the risk? If you only get the odd, stubborn pimple, you can apply benzoyl peroxide only on the annoying bugger, and retinol everywhere else. But give other pimple-busters, like salicylic acid or sulfur, a chance first. 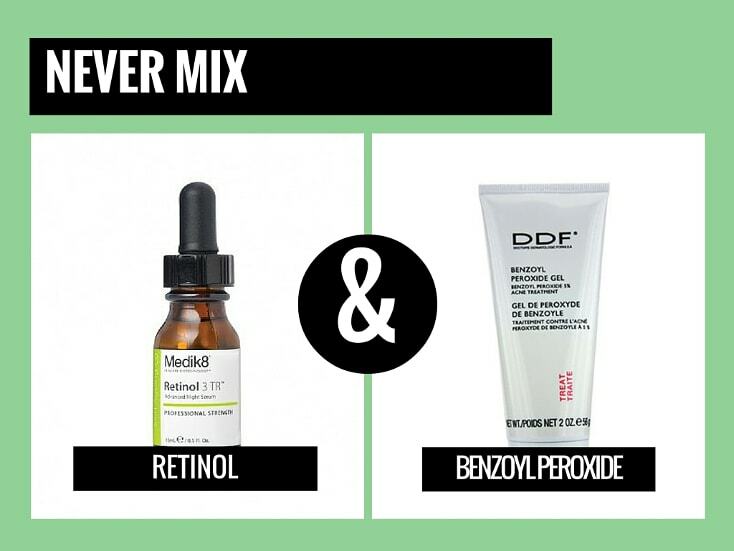 Related: Salicylic Acid VS Benzoyl Peroxide: Which One Should You Choose? Retinol and vitamin C are my two all-time fave ingredients. They’re both so powerful: they fight free radicals, boost the production of collagen, and brighten skin. But, they don’t play well together. Retinol works best at a ph of 5.5-6. Vitamin C (in the pure form of l-ascorbic acid) needs a ph of 3.5 or lower. You see the problem? It’s tricky to formulate a product at a ph that’ll satisfy both vitamin C and retinol. But, that doesn’t mean they’re useless together (there are so many great products out there that contain both). They still work, just not to their full potential. Use these ingredients at different times of the day or week. Choose time-released products. This simply means that retinol is put into a capsule and released slowly into the skin over a period of several hours. Vitamin C is delivered all at once. So, long after that’s being absorbed, retinol is still being pumped into your skin, finding nothing in its path that can deactivate it. Go for another form of vitamin C. Magnesium ascorbyl palmitate,for example, has an optimal ph of 7-8.5, so it can easily be formulated with retinol, without compromising on efficacy. Niacinamide turns Vitamin C yellow, making it ineffective. Mixing Niacinamide with Vitamin C turns it into Niacin, a substance that can have temporary flushing and tingling in people with inflammatory acne or erythema. So, yes, if you have inflammatory acne or erythema, you don’t want to use these two together. Scroll down to the fix to figure out how to make the most of them. Everyone else, don’t worry. These reactions don’t happen straight away. They occur so slowly, you won’t even notice a difference. I’ve explained why in detail in this post. Wait 30 minutes. Apply vitamin C first and, half an hour later, niacinamide. Or vice versa. Don’t have that much time to waste in the morning? Then, use them at different times of the day or week. 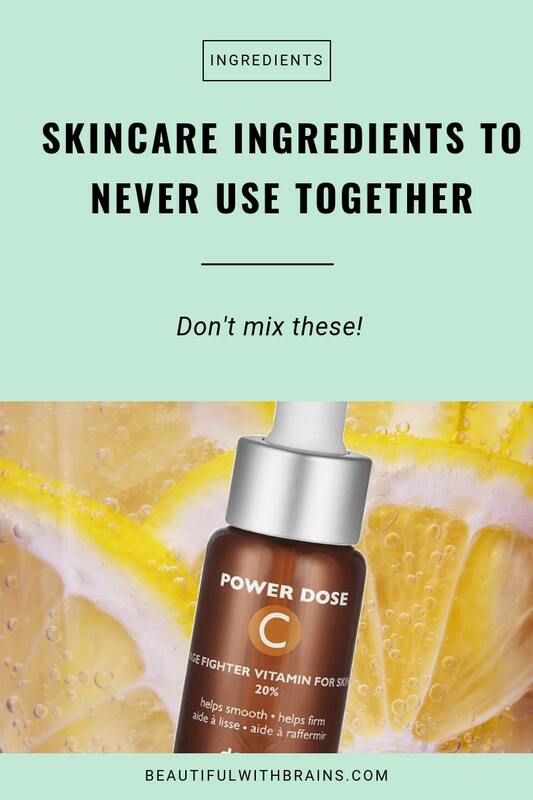 Related: Can You Use Niacinamide And Vitamin C Together? Are you using these antiaging superstars together? Share your thoughts in the comments below. I use a retinol in the night. In the morning,I apply vitamin c serum. Is this wrong ? If yes so, what is the best way to get the benifit of two? Reem, I do the same too, so no, that’s not wrong. Just applying sunscreen after vitamin C and you’ll be fine. Check if any of the products have any highly comedogenic ingredients in them. If so, stop using it straight away. In the meantime, you can exfoliaute with salicylic acid to help the breakouts disappear faster. Hope this helps. Stephanie, I know some prescription treatments use them together but there is a reason why they are prescription. My main objection to using them together is that it may be too irritating hence why it should be prescribed by a professional only. I did not know that about niacinamide! Yikes. I’ll have to be sure to use it in the evening only since I use my vitamin C serum in the morning. Laurie, not many people know that, but that niacinamide is so underrated. Shame, cos it’s one of the best ingredients you can use for your skin. Using it at night is certainly a good idea. Hi! Love the blog! I’m trying to figure out my skincare regime… can you use niacinimide with AHA/BHA? I currently use them at night and vitamin c in the morning, and am looking to introduce both retinol and niacinimide in my regime but I’m not sure how to best combine for AM and PM routines. Ylva, thanks! Yes, you can use niacinamide with AHA, so at night it would be perfect. Just to add: When you mix a bit of vitamin E into the niacinamide and vitamin C (in case you’ve combined them), it may prevent some of the degradation and stabilize the vitamin C.
Hélianthe, good point, thanks for sharing that. A quick question: does niacinamide also interfere with vitamin c- derivates like tetrahexyldecyl ascorbate? I’m womdering because Paula’s Choice has some products witch combine niacinamide with this derivate. Fabienne, yes, the problem can still occur, but more slowly. But, after reading this today http://www.kindofstephen.com/post/141145450693/can-you-use-niacinamide-and-vitamin-c-ascorbic, I don’t think there’s much to worry about. The two vitamins only make each other a bit less effective rather than completely useless. Chris, thanks so much for sharing that. I’ll add it to the post. Marita, there’s nothing wrong with that. These ingredients are often used together. Hope that answers your question. Thank you for this amaZing info blogg about skincare. I use PC Clinical Retinol at night ,and in the morning Transderma C,Transderma im suprised so few have written about,.Checjhk it out,itsthe måste PURE products out there,its expensive,but for ONCE ,and i meanONCE ,an expensive product was realyyyy goood. They also have tTransderma M,wich contains:Squalane,Cholestrol/Lanosterol,Esters,Alpha-To hopherol,Ceramde 3,Ceramide 5,Phytosphingsine. That is a serum i love! So there are few but really good products. About PC,they have a veeery high standard too a good price. Have a nice day from Sweden. Sasha, thanks for the recommendation. I don’t think I have ever seen Transderma around, but I will look for them. The serum sounds really good. I am a fan of PC too. Incredible formulas at affordable prices. What’s not to love? Wow Gio, this is so informative! Thank you! i printed it out. Cat, you’re welcome. Glad you find it useful. Thanks to share the knowledge about vit c and niacinamise, i have been using both those ingredients, maybe i will use one at day and one at night. Wonderful article thank you. What about Vitamin C and Glycolic acid? Do AHAs change the ph balance for vitamin C when used together? Also, I’ve been using Vit C + Glycolic acid during the day. I’ve heard conflicting info saying avoid using glycolic acid during day even with SPF 30+ as it may cause sun damage. How much risk is there(if any) using glycolic acid with SPF during the day? CK, the reason why most people say you shouldn’t use glycolic acid in the morning is because we rarely apply the amount of sunscreen needed to achieve the level of protection on the label. And even if we do, we don’t reapply it throughout the day. It’s better to use it at night and stick to vitamin C in the morning. Some of these are myths that The Cosmetics Cop debunks on their site. They do reference the flawed scientific study that have led to these myths. However, it’s important to note the type of Renitol/Vit A used does make a difference. Catharine, thanks for your comments. I’ve seen different experts express different opinions by citing different sources. In any case, most of these ingredients are too strong to be used together for most skincare, so I prefer to use them separately anyway. Hi Gio, how about using together vitamin c such as l ascorbic acid or ascorbyl methylsilanol pectinate with an acid like aha/bha/pha? Hi Valiant, I ‘m not a big fan of using them together but that’s more because these ingredients are powerful and can be too much for the skin all at once. I prefer to use them on separate days. Thanks for the advice gio and how about mixing aha/bha together? I saw a brand like cosrx combine aha and bha together and i also saw a brand like paula’s choice who separated those acid. Valiant, those acids both exfoliate skin. The difference is that glycolic also hydrates it, so it’s great for dry skin, while salicylic unclogs the pores, so it’s best for oily skin. If you have combination skin, it makes sense to use an exfoliant with both acids. Or to use them on alternate days. Otherwise, just pick the one that best suits your skin type. Hi thank you for the answer. If i had another question, can i ask you by email? Valant, you’re welcome. And yes, of course. Hello, is the topic of Retin A, vitamin c, niacinamide, and such still a conversation on here? I’m so confused I could just toss it all and go back to being foot loose and fancy free. lol Actually I love skincare but have not always taken good care of my skin. I’m not taking care of it and will be a lifer now…since it’s half over already. I hope this conversation is still alive today because I could use some advice. Namaste! Amy, of course. If you have any questions, ask away! I always reply to comments on old posts too, even though it may take me a couple of days sometimes. I want start using Niacinamide and Retinol serums at night and a moisturiser as well… How should I go about? Also just want to make sure if this wont be to strong for my skin? Hi, thanks a lot for the info! I am wondering if I am using MAP , then can I apply B3 serum right after or before it ? Renee, hi and you’re welcome. Yes, you can use them together but I’d wait a few minutes between the two to give the time to the first product to fully absorb before you apply the next one. Hope it helps. Thanks for the great article, I was thinking of adding Vitamin C to my routine but seeing how I already have retinol maybe I’ll find something else. Is niacinamide okay to use with retinol? Sarah, my pleasure. Yes, you can use niacinamide with retinol. If your skin needs the extra help, you can add vitamin C too. Just alternate between the serum (ie, one day retinol, the next vitamin c). Where is the research that says that retinol and BHAs/AHAs can’t be used together? We already know that separately each of these ingredients will increase skins sun sensitivity, so combining them doesn’t seem like an issue. Chris, some people think they can’t be used together because of the ph differences but I don’t agree with that. My issue is that both these ingredients can cause sun sensitivity, flakiness and irritations, especially at first. Imo, it’s best to use them separately to avoid any potential issues, especially if you have dry/sensitive skin. Dr Rowett, thanks so much for your comments and your clarification. It’s good to know that there are ways to use these two powerful actives together. Hello! Thank you so much for this article. I’m curious if it’s safe to use Drunk Elephant’s C-Firma Day Serum (15% l-ascorbic acid) with niacinamide, or if I should wait 30 minutes in between. I’m not sure if that particular vitamin C product is considered stabilized, but the serum is contained in an airless pump. Dinah, it’s safe to use them together. The reaction I’m talking about occurs so slowly, it won’t be a problem for skin. But you can wait or use one in the morning and the other at night if you’re still concerned about it. Thank you for your swift reply, Gio! That’s good to know. So glad I came across your blog. Take care, and thanks again for your help! Dinah, my pleasure and thanks for your kind words. So thrilled you like my blog! Ayu, thanks for bringing that to my attention. I don’t think the ph issues are as bad as some think and I agree with Paula that you could use them together but they’re all pretty powerful ingredients. Using them separately may be best or they may cause irritations. Hi, this post is super helpful! I’m currently using retinol serum on a nightly basis but once I hit the 12-week mark, I’m thinking about alternating nightly between my retinol and a vitamin c serum. Would I reap the benefits of both if I use retinol one night and vitamin c the next? Can you use a retinol with niacinamide? Yes, you can meaning they will not weaken their state? I use a product called Hada Labo super hyaluronic acid. I’m sure it has other ingredients but I cannot read the language…it’s from Japan. I wonder if it is in a product with other ingredients if that would be OK. I’m not really making sense here. I’ve read to much I think and now I’m just a little brain fogged. There is so much to learn. Amy, yes, you can use them together without compromising their effectiveness. Hyaluronic acid plays well with most ingredients so I wouldn’t worry about it too much. AHA/BHA products can be used with Retinol if your skin has a high tolerance to them. I use them together with no adverse effects but my skin is used to acids. I do make sure to ALWAYS wear a high spf. Everyday, no matter conditions. Gwen, thanks for the tip. I don’t like to mix them because I think they’re too much for most people but if you can take it, why not? So it’s okay to mix retinol/it’s derivatives with niacinamide? Hi, thanks for the info but can I mix Niacinamide with Azelaic acid and Arbutin? Anon, yes you can, but I recommend you choose either azelaic acid or arbutin. Due to aging, fine wrinkles, age spots, red spots (maybe a little rosacea) and adult acne – I went a little crazy, trying to find anything that might help. I just got Plant Therapy’s Life Essentials – peptide complex, retinol 2.5% and glycolic acid 10%. Can you please advise which is best for what – and when is best to use each one? All of this is so confusing. Thank you, in advance! Re glycolic acid, what skin type do you have? You mentioned acne, so I think salicylic acid (BHA) would be more appropriate for you. It unclogs the pores from within, preventing breakouts and has anti-inflammatory properties so it should work better for your rosacea too. You can use peptides both in the morning and at night. Hi! I am so glad I found this article. I’ve been trying to get a good skincare regimen going for awhile. But I went slightly overboard with buying different products and now I’m a bit confused on how to use them together or even if they can be used together! This is what I finally came up with. Please let me know if there are any products you think I shouldn’t be mixing. My skin is oily and acne prone and have red marks (p.i.e) from acne that I’m trying to fade. * Should I be using the Radiance pad with the glycolic and lactic acid at the same time as the azaleic acid? * Can i use niacinamide together with azaleic acid and the Radiance pad? *Sorry for the super long message. Hope you can let me know what you think of my routine and if there is anything you think I should change. Thank you! Joanne, I like your skincare routine, but I would use the Radiance pads at night. Exfoliating acids can make skin more prone to sun damage so it makes more sense to use them at night. If you want to use them during the day, you need to be religious with sunscreen reapplication. Also, wait until the gel moisturizer has fully absorbed before applying the azelaic acid cream to aid its absorption. Kim, just wait until the retinol has fully absorbed and you can’t feel it anymore when you touch your skin. Wonderful post! Highly informative. One question, can I mix AHAs and vitamin C. At night I started using the Vinoperfect essence and serum with glycolic acid from Caudalie and then I follow with the CEO vitamin C moisturizer from Sunday Riley on top. Are these products okay to use together? Chioma, yes, it’s ok to use them together. How about niaciamide vs green tea seed extract? Heppi22, yes, you can use them together. I’m unsure how to use what I currently have and what to potentially add. My skin is currently dry, especially around my nose (perhaps due to product?) and I have dark spots/pigmentation. Am I overdoing it? Looking for help to make sure I’m doing the right thing. Thank you SO MUCH! Stefanie, wow, that’s a lot of skin whiteners you bought. For the time being, I would leave the azelaic acid aside and try the alpha arbutin to see how your skin reacts. I’m suggesting you try that first because it has HA, so it’s more suitable for dry skin like yours. The Niacinamide + Zinc serum is wonderful too, but it’s more suitable for oily skin. You can give it a go to see if your skin likes it but if you find it doesn’t do much for you, you can get your niacinamide fix from Paula’s Choice niacinamide booster or an Olay serum. In the morning, I’d use the cleanser followed by vitamin C, alpha arbutin, squalane and sunscreen. In the evening, cleanser, retinol, niacinamide, squalane and moisturizer. Wow, so much to take in! I am so glad I ran across this but I am still confused. Could i get your thoughts on my skincare routine? Sometimes I will finish with a face oil. Please give me your thoughts and let me know if you think I should change anything. PM: apply Cerave lotion after the eye cream and before the facial oil. As a rule, active ingredients like tretinoin and AHA are best applied on clear skin so they can penetrate it better. Can I use niacinemide with clindamycin? LOVE your blog. Can you comment on my routine? Normal to dry skin, slightly congested and hyperpigmentation. Cora, I like your morning routine. In the evening, I would stick to Drunk Elephant BHA/AHA, at least until the congestion hasn’t disappeared. The ordinary Niaci/zinc could be too harsh for your skin type. Instead, alternate the exfoliant with the retinol. Hope this helps. Hello, the above comments…using tretinoin and AHA are best applied to clear skin?? do you mean clean skin with nothing else on it, just freshly washed? Amy, yes, wash your face and then apply AHAs or tretinoin. I am currently introducing Murad’s retinol product into my night time routine, first retinol product ever. I do currently use Drunk Elephant C-firma in the mornings and wonder if the funnel effect of the DE product can cause the retinol I’m using at night to be ineffective ? No worries, I’m happy to help. I’d use the Algenist vitamin C in the morning because vitamin C can boost the effectiveness of your sunscreen. You can use the matrixyl + ha serum either in the morning or night. These ingredients aren’t fussy and play nicely with other actives. I’d use it whenever your skin feels a little drier. For example, if you feel the retinol serum is drying out your skin a little, then use matrixyl + ha in the evening. If, instead, your skin feels a little drier during the day, put it on in the morning. The resurface treatment is a retinol serum. It’s overpriced but it should work very well. I’d wait until you finish the ordinary retinoid 2% to try it because it’s not recommended to use more than one form of vitamin A at the same time. Or you could just stick with the ordinary serum. Gio, Could you recommend a thorough niacinamide product? 53 yrs old, few wrinkles, heavy discoloration and pigmentation. I do use the Paula’s Choice retinol products. Well….I guess you can disregard my suggestion on niacinamides. I just found where you have already covered that. I should have known. You are on top of your game my dear. Kudos!!!! Hi Gio, should a prescription Retin A be used on clean skin or hours later/post moisturiser? Madeline, for best results, use it on clean skin, just after cleansing. But I know some dermatologists recommend to apply it after moisturiser if your skin is sensitive to reduce the irritating side effects. AM: Nuetrogena fresh foaming cleanser and Say yes to tomatoes acne wipes (has Saliclic Acid) then a Lumirance serum with vitimin C and HA and Clinique laser focus eye cream then a moisturizer with sunscreen like Clinique even better or Garnier clearly brighter. PM Nuetregina fresh foaming cleanser. Lierac hydra chrono serum. Then tretinoin cream .025. Then Robanda rejuvinating serum, Clinique laser focus eye cream and Clinique smart night moisturizer. I’m guessing I should be using a stronger sunscreen, I would love a recommendation of one that wont be white or greasy and is good under makeup. And I was thinking of adding the Olay serum with niacinamide since it’s affordable. And maybe a Glycolic acid in morning? I would love any advice you can give. I’m not sure the serums I use have very high concentrations of the right ingredients either. Thanks so much! LKN, first of all, stop using the acne wipes. They may have salicylic acid but all that rubbing isn’t doing your skin any good. You should definitely use salicylic acid but a much better product would be The Ordinary Salicylic Acid. Use it just after cleansing. I wouldn’t add glycol acid. I know it’s a great ingredient but imo when skin is upset you want to stick to a few actives that work rather than throwing everything at it. At this stage, this may do more harm than good. I’d also recommend you use niacinamde as that can help with both acne and dryness. Olay makes some good moisturizers with niacinamide but make sure you stay away from anything that contain Isopropyl Palmitate, Myristyl Myristate or anything with Palmitate and Myristate. You can use it both morning and night instead of your Clinique moisturiser. Some of the flakiness and dryness may be caused by an overuse of vitamin A. You say you are using both tretinoin and the Robanda rejuvenating Serum, which has retinol. Pick one and use it only two or three times a week. If your skin feels dry, you can also add a hyaluronic acid serum either in the morning or evening, but at the moment, your main concern is getting your skin back into top shape so use only what you absolutely need. You can go back and tweak things later. What about glycolic acid and vitamin c? Can they be paired together? Kate, yes, they can. If you have sensitive skin, they may be a bit too much for you but most skin types won’t have any problems with this combo. Just use glycolic acid first and vitamin C later. thank you for sharing.. btw can you comment about my skincare routine? I’m 18 y.o & my skin type is combination to dry. can I mix glycolic acid & hyaluronic acid? Syifa, your skincare routine sounds good to me. Do you suffer from acne? You didn’t mention it when you talked about your skin type. If you have acne, then you can use your anti-acne treatment after cleanser. Just skip the glycolic acid. Or use glycolic and anti-acne on alternate days. 3_? can i use after this Ascorbyl tetraisopalmitate solution 20% in vitamin F ? Could i add to this routine a chemical exfoliator once o week? like glycolic 5% maybe? Hi Melisa, I understand that you want to get rid of that pigmentation fast but you’re loaded your skincare routine with A LOT of skin-lighteners. If you’ve never used any of these before, I’d choose either alpha arbutus or azelaic acid. Also, I’d use vitamin C in the morning and niacinamide. You can use them both in the morning but again my concern is that you’re using too many active ingredients together. If your skin isn’t used to them, especially at these high doses, it’s best to start slowly and use them at separate times. You don’t want to get rid of pigmentation only to experience severe dryness and peeling. Once your skin gets used to these actives, then you can start using them a bit more frequently. Hello Gio! Thank you for your answer, i’m gonna take your advise and start much slower, specially because the last 9 months i was pregnant using nothing but natural cosmetics and no acids… with exception of HA and vitamin c (both niod). I look like a dalmata, a happy dalmata at least haha. Hi Melissa, this should be fine if your skin isn’t sensitive. If it is, you may want to use vitamin C serum only 2 or 3 times a week and get your skin used to that before you go in with the alpha arbutin. Also, I’ve just realised that the niacinamide serum you’re using is more suitable for oily skin while the vitamin C in Vitamin F is better for dry skin. That’s not to say both can’t work for you but I had a few readers complain this niacinamide serum is too harsh for their dry skin. Likewise, if your skin is oily you may find this vitamin C serum a tad too rich. What’s your skin type? Thanks for your article! I want to buy The ordinary suspension 23% + HA2% sphere and Tony Moly galactomyces 96.5%, can I use both of these together in the same routine? Will the vitamin c react to galactomyces if I don’t wait for 20 minutes in between my uses of these two product? Jenny, I think you can use them safely together. Hello gio, ur blog is amazing. I just wanted to know that I use a night cream and a cleanser which has glycolic acid. I have two clay mask that I use once a week each. Am I taking too much of glycolic acid? And also I have acne prone skin so if I want to use an acid during the day. Which one would you recommend? Alisha, your skin will tell you if you’re using too much glycolic acid. If there’s no irritation, you can keep using it safely. I recommend salicylic acid for daytime. It exfoliates the pores and helps prevent breakouts. I had some of these questions a few years ago, and I came across an article on Paula’s Choice (and her accompanying site, Beautypedia) that said the OPPOSITE of what you’ve got here. Like that you can’t mix Retinol and Vitamin C. According to the research she cites, not only can you put them together, but they work VERY WELL together and enhance each product’s benefits. Katy, I often use products that have both ingredients. I don’t the low ph for vitamin C deactivates retinol but it could make it a little less powerful. Hi gio! 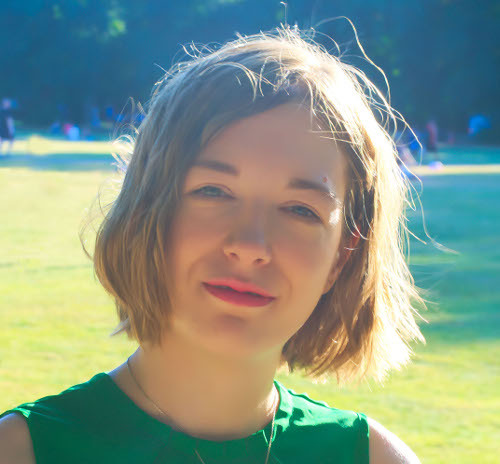 Thank you for writing such an amazing blog! Recently i’ve just started new routine of skin care. But i’m confused with the layering technique. I plan to use the ordinary alpha arbutin and vitamin C at PM routine. Is it okay? Which one should i use first after toner? Thankyou in advance! Farah, which of the two has the lightest texture? Use that one first. You are such a boss for spelling this out!!! I had been using timeless vitamin c with cerave pm on top, but this contains niacinimide. Can you recommend a good non comedogenic moisturizer for night time without the niacinimide? I have also tried neutrogena hydroboost, but it congealed into little balls when applied on top of the vitamin c. I am pregnant and trying to do the best i can to combat these clogged pores and pigmentation without my beloved differin gel, so I can’t afford to loose any vitamin c potency. Thank you so much, you rock!! You didn’t mention your skin type but I’m assuming from your clogged pores that it’s combo/oily? Please correct me if I’m wrong. But if I’m right, you can try Paula’s Choice Hydralight. Moisture Infusing Lotion or Drunk Elephant B-Hydra Intensive Hydration Gel. Hello, i have a question. Can you use Dipropylene glycol, Niacinamide, and glycerin with Tretinoin, Clindamycin, and Azeliac acid ? Thanks! Sara, is there a reason why you want to use Tretinoin, Clindamycin, and Azeliac acid? These ingredients are all very powerful and potentially irritating so I wouldn’t use them together unless prescribed by a doctor.